Sheer brilliance and grandeur showcased by this exceptionally beautiful engagement ring makes it a wonderful choice for your special day of love. Its opulent design displays a glorious lab grown diamond, four-prong set within a double halo. Additional lab diamond accents on the shank add to the design's beauty. 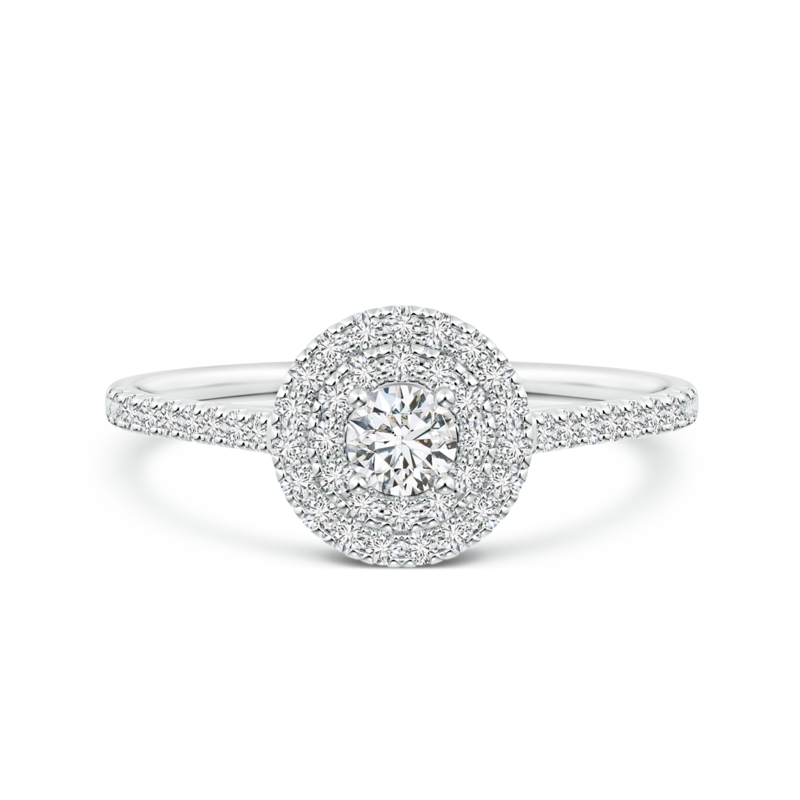 Set in 14k white gold, this double halo engagement ring is as magnificent as true love should be.